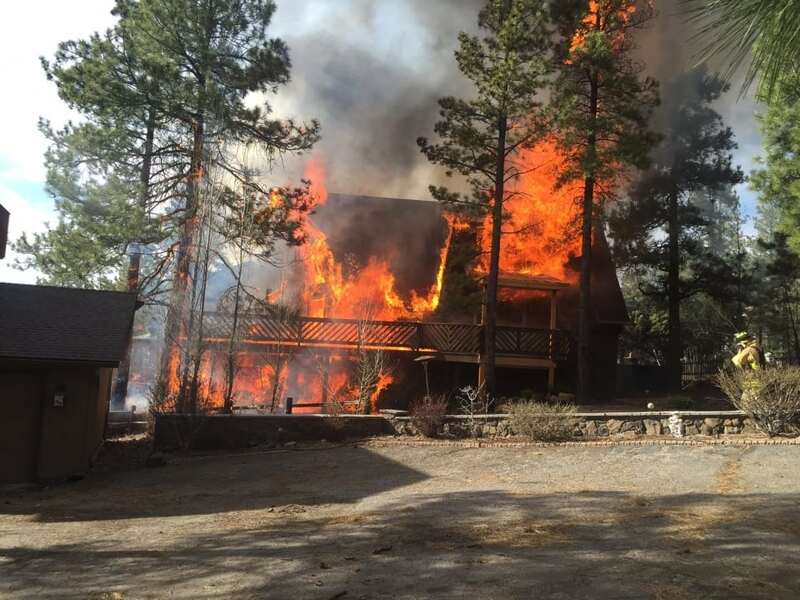 On March 20, 2016 Pinewood Fire was dispatched to 17750 S Stallion Dr. for a structure fire. Upon arrival crews found a fully involved multi story home threating to ignite homes on either side of it. Crews quickly began to work to extinguish the home and surrounding trees that had started to catch fire. 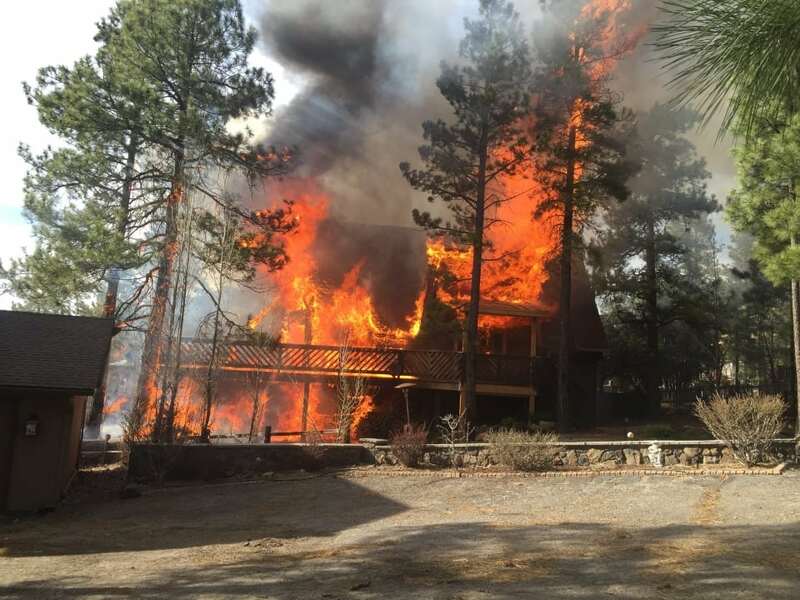 Highlands Fire was called to aid Pinewood Fire due to the heavy involvement. Highlands sent an additional engine as well as a battalion chief to aid in extinguishing the fire and with incident command. No one was hurt during the incident. Ultimately, the fire was put out and contained to the one structure but the structure was a total loss. The Pinewood Fire Department would like to remind people that calling 911 early can be the difference when it comes to mitigating an incident. It is also very important to make sure the area around your home is clear and free of debris. This can create a defensible space which can help protect your home in the case of a wild fire. 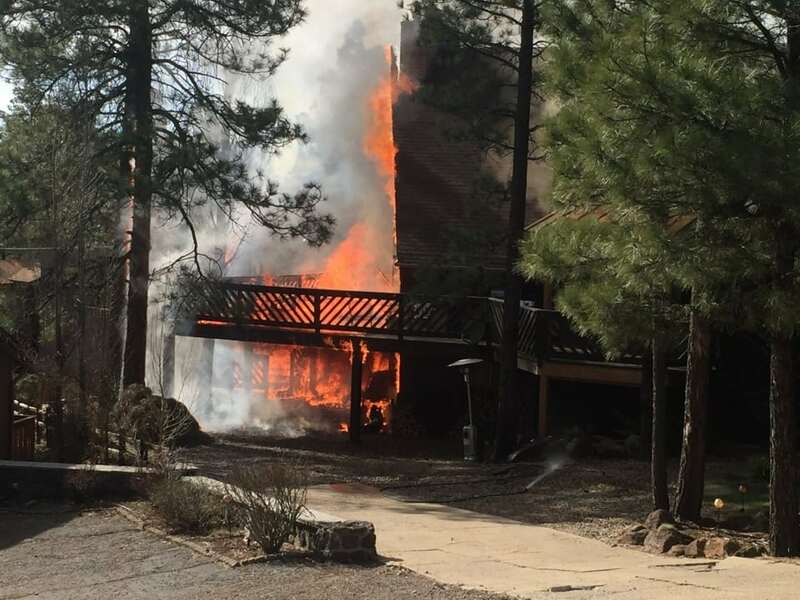 Pinewood Fire Department offers burn barrels to help aid people in burning pine needles and other yard debris but wants to remind people to dispose of the ashes properly.For any further questions on fire safety or emergency planning stop in at the fire station or call 928-286-9885.